With more than 70 percent of the first stage already sold, Frasers Property Australia has announced the early release of the second and final stage of its newest masterplanned community in North Ryde, aptly named Centrale. With a new display suite now open, strong interest is expected to continue as the excellent connectivity of Centrale resonates with investors, owner-occupiers and young professionals looking for convenient access to a myriad of options for work, rest and play. The on-site North Ryde train station means Centrale is just one stop from Chatswood, two from Macquarie Centre and 13km from the Sydney CBD, positioning it within easy reach of all Sydney has to offer, including the major shopping and employment hubs of Chatswood, North Ryde, Macquarie Park, Ryde and Rhodes, major sporting venues and the beautiful Lane Cove National Park. Nigel Edgar, General Manager, Residential, NSW, Frasers Property Australia, said the strong market response was not surprising given North Ryde ranked third for median house price growth in the 12 months to March 2015 according to Domain. “Comprising four buildings, Centrale will incorporate 380 contemporary architect-designed living spaces in a mix of one, two and three-bedroom configurations. 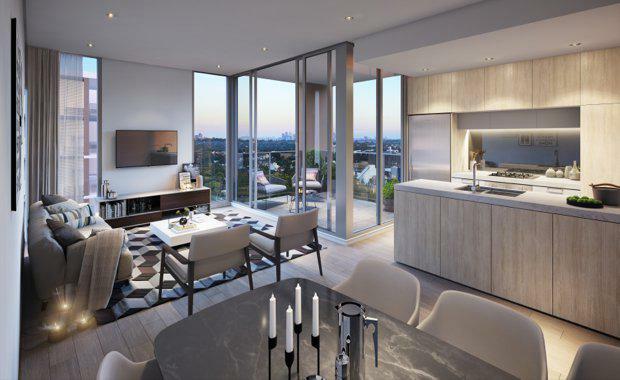 The premium-finished apartments will feature open plan interiors architecturally designed to maximise seamless indoor-outdoor living, with many boasting panoramic views out to the Sydney city skyline, Chatswood and beyond,” Mr Edgar said.